With Poetry Month right around the corner, optimize the mobile tablets that are already in the hands of your students by giving them the chance to interact with poetry. Whether they become content consumers by reading their favorite poems or content creators as they write their own, iPad and Android tablets provide students and teachers with lots of options. This list of mobile apps will help inspire young poets and give them the tools they need to create and publish their very own poems. This easy-to-use creation tool is perfect for young poets. Students can choose a focus word and then decide which new words they will assign to each letter. It helps kids build an acrostic poem and easily save and share their work. It's one of a handful of apps on this list from ReadWriteThink, which offers mobile resources for both iOS and Android devices. This iPad app helps students remember poems by turning memorization into a game. It comes with four free poems, and users can decide if they want to purchase others. You might decide to share this app with students who are preparing to perform a poem that they've memorized, or who just show a deep interest in poetry. A diamante is a poetic form in which the stanza is in the shape of a diamond. This app sets students up for success by asking them to fill in the blanks as they construct their poem. It's straightforward and perfect for elementary and middle school students. The easy-to-print final product will make it simple to publish your students' work. A fantastic app from TouchPress, Shakespeare's Sonnets includes a wide range of multimedia. The words will jump off the "page" as students tap their screen to interact with content. It contains video clips of each sonnet performed by a variety of notable actors. With commentary and interviews, this high-quality app is worth the price tag. Students can create concrete (or shape) poems using this collage app. All they have to do is choose a shape and type in the text for their poem. Shape poems are fun for students writing about a particular topic. They can decide on a shape that fits the theme, mood, or topic they're exploring and place words on their iPad screen. This app gives plenty of options for students to help them create a unique product. This iOS app gives users easy access to thousands of poems. Teachers and students can search a library of poems that includes many classics. There is audio support for many selections so that students can hear different poems read aloud. Users can search by poet, mood, or subject to find exactly what they are looking for. Similar to diamante poems, haiku poetry follows a specific pattern that requires students to understand the format before they get started. This app helps them identify syllables in words as they brainstorm a list that can be included in their poem. It provides a clear format to follow as they fill in the blanks and create their poem. Haiku Poem gives students options for different backgrounds to customize their final creation. Educators teaching poetry or with a passion of their own may want to check out Poetry Magazine. This print publication has a dedicated app for the newsstand on iPads. It's full of new work by modern-day poets with selections at the level of middle and high school students. It's a great choice for sharing with teens to show them the place that poetry has in today’s society. 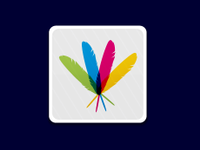 Younger students getting started with writing poetry will love Theme Poems, another great app from ReadWriteThink. This simple app asks students to choose a theme, with choices including shapes and school topics. Kids will brainstorm a list of words and create a poem on their chosen theme. The final poems can be saved with the shape on the page, ready to print and share. 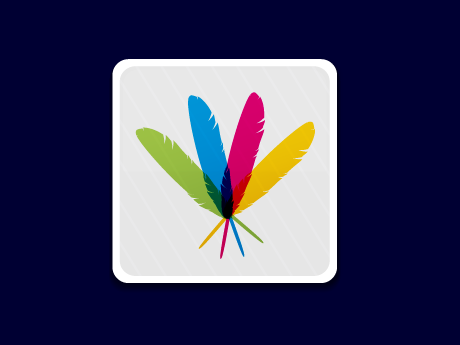 Do you have a favorite poetry app? Share your favorite apps and activities below.